Here are a few more tops that I made during the Thanksgiving break. 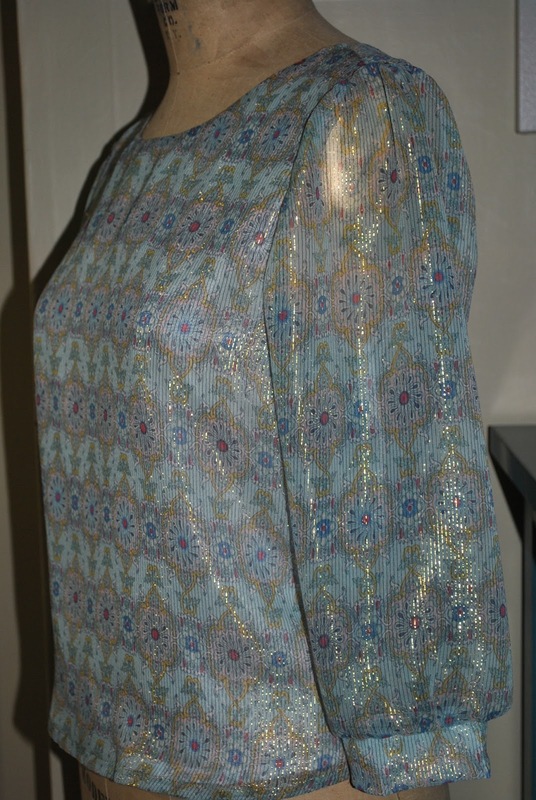 This first one uses 2 yards of Spoonflower-printed crepe de chine. When I was in Paris back in 2004, I bought a small scarf from a street vendor. I still have it. It's square, bright red, with dark blue letters, and it spells PARIS over and over, with the Eiffel Tower instead of an 'A'. It took me a while, but finally I did manage to recreate this design in Photoshop. I then ordered two yards from spoonflower.com and added my favorite lace collar. 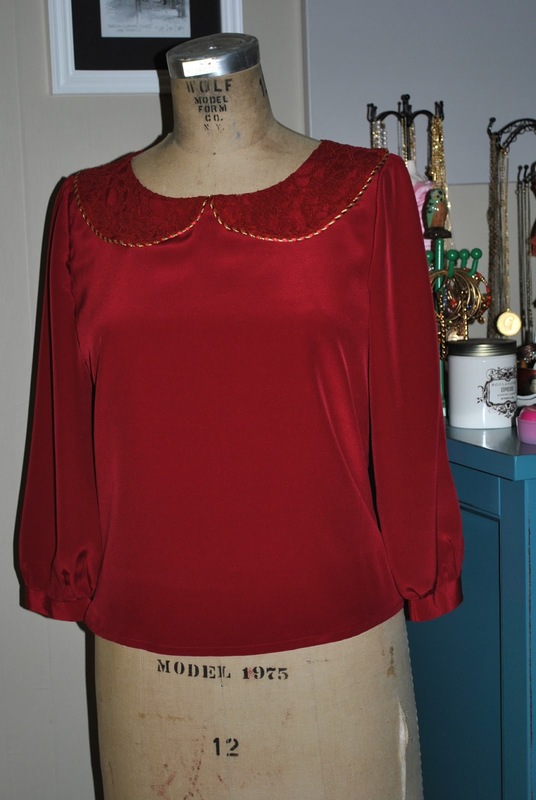 I'm wearing this top today with black cords. My only wish is that it was brighter. I specified a much brighter red and black, but I guess that's the best that Spoonflower printers could do. Here's the close up of the print. Paris, je t'aime! 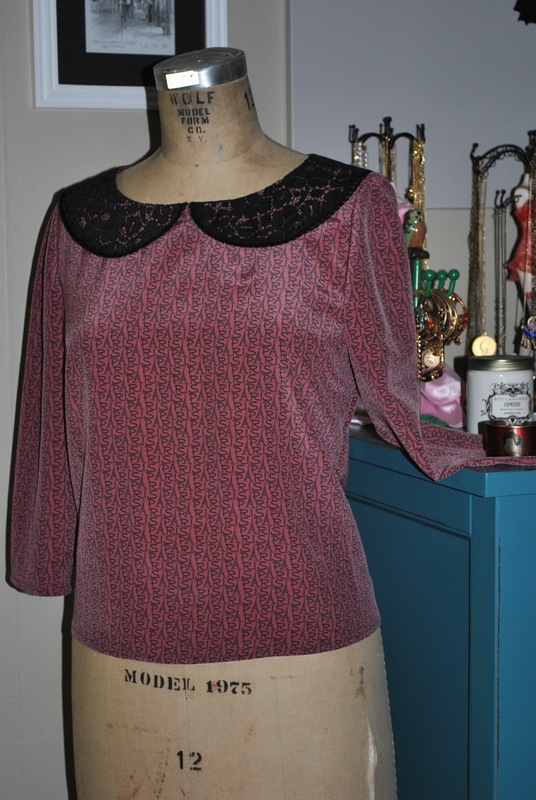 And this last blouse is made from a gorgeous chiffon that I forever admired at the District Fabric store in Fremont. I finally broke down and bought two yards. I lined it with a 100% silk lining. 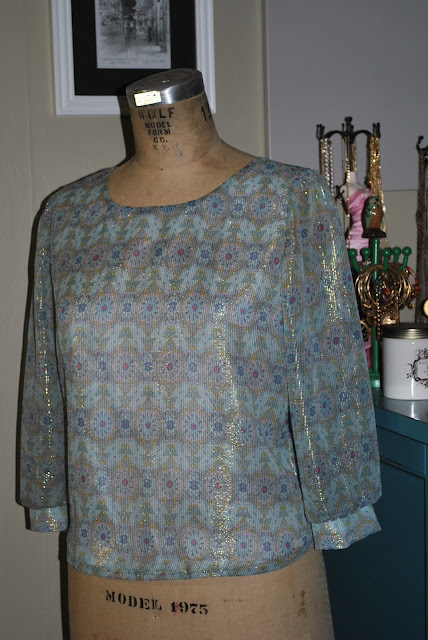 It's breezy and feminine :) and the lurex thread gives this blouse the appearance of an extremely delicate body armor piece.